This is a collection of ten richly imaginative short stories. Margo Lanagan transfigures Greek myths, bible stories and fairytales: conjures the creepy and surreal out of ordinary domesticity; plunges the reader into stark apocalyptic landscapes and gentle homelike places. 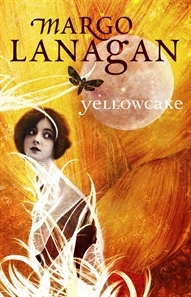 Yellowcake is ten fiercely original and quietly heartbreaking short stories from the extraordinarily talented and highly-awarded Australian author of Black Juice, Red Spikes and Tender Morsels. Meet the Author: Bringing Books to Life!